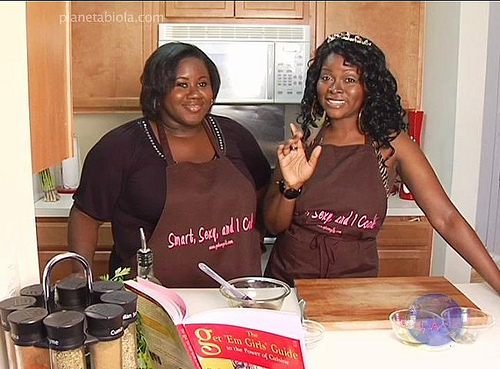 In this “Romantic Cooking 101” segment The Get Em Girls share their recipe for brown sugar glaze salmon. This is SO delicious and salmon (according to Dr. Perricone anyway) is super healthy for your skin. This Southern salmon recipe also includes Ginger Root which is an aphrodisiac according to the ancient Egyptians. This is more grown up presentation than the Salmon Cakes we were making this summer as a part of our Salad Recipes. WATCH!